Ever fantasized about a theme based room? A sports theme maybe? 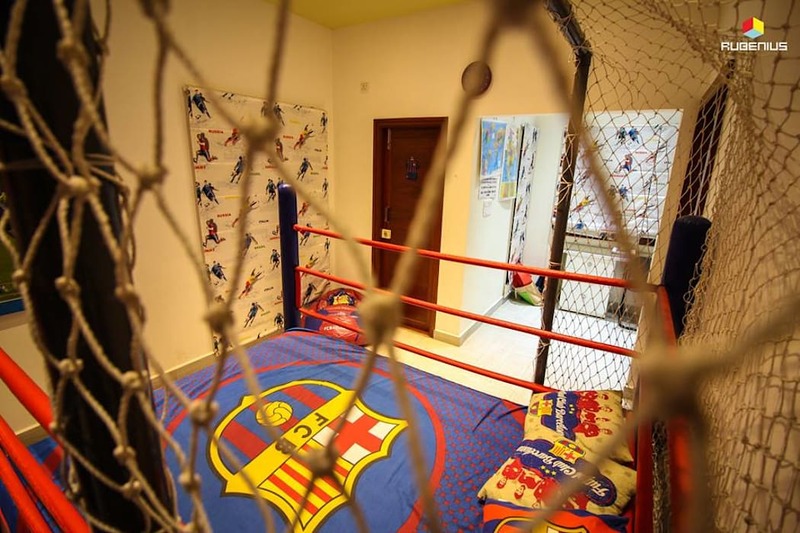 Football themed room, no detail was overlooked and no opportunity missed. Even as he grows up into a collegian or young bachelor, he can carry elements of this design with him.